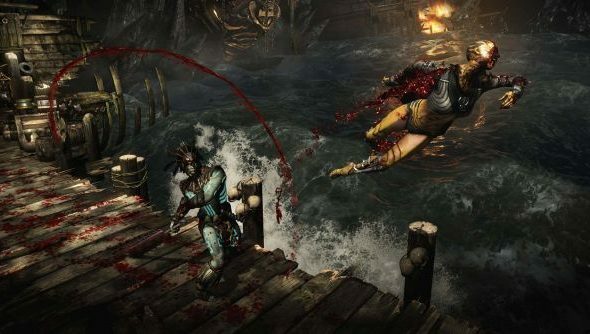 The co-creator of Mortal Kombat has hinted that the latest game’s sequel-sized expansion Mortal Kombat XL will be making its way to PC. For babalities of a different nature, try the best adult games on PC. Creative director at NetherRealm Studios, Ed Boon, tweeted what at face value is absolute nonsense, but by employing the complex cypher of “taking the capital letters and putting them together” keen-eyed fans have cracked the enigma: MKXL PC. While most fans of a series would be thrilled to hear the massive extension of 2015’s top fighting game release coming to their preferred platform, the original port of MKX and other Warner Bros. games have been so awful that questions are already being raised. There’s no official announcement to speak of yet, but once we know more we’ll be trying to find out if the “Xtra Long” content will be a paid addition or if, perhaps to atone for their sins, NetherRealm and WB are offering an olive branch of cartoon-ish graphic violence to fans for free.